Thousands of customers visited Apple Taipei 101 for the grand opening on Saturday. 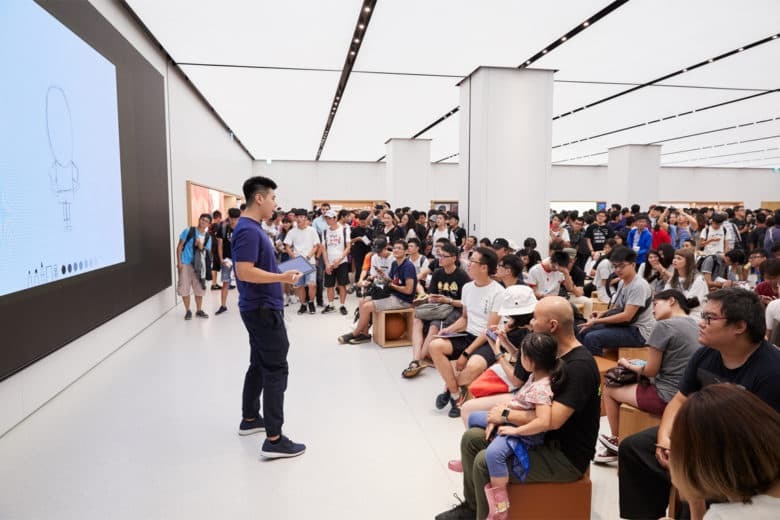 Apple’s first brick-and-mortar retail store opened in Taiwan over the weekend, and Apple has shared pictures to celebrate the occasion. The newly opened store is located on the ground floor of Taiwan’s iconic Taipei 101 skyscraper in the Xinyi District. It was the world’s tallest building prior to being overtaken by Dubai’s Burj Khalifa in 2009. 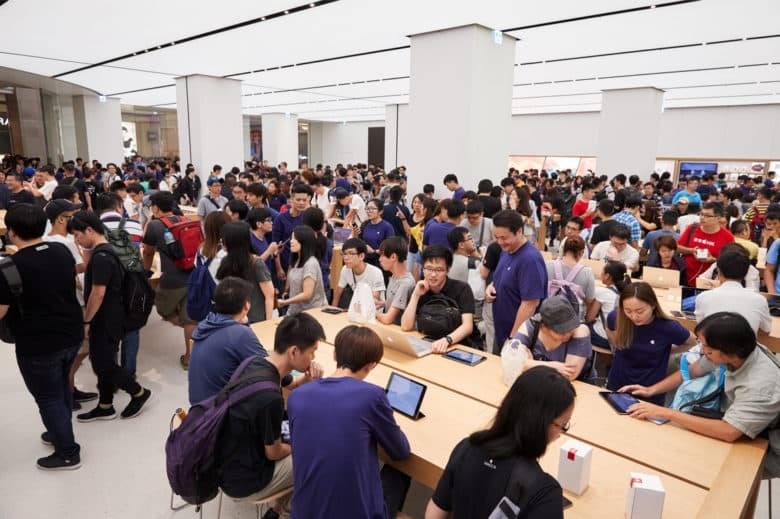 Apple notes that crowds queued overnight at Taipei 101 for the grand opening of the retail outlet, which employs around 130 staffers. Until now, customers in Taiwan have only been able to buy Apple products from third-party retailers like Studio A and Data Express. Tim Cook recently confirmed that the Taipei store would open. “Here comes Apple Taipei 101, our first store in Taiwan,” he said via Twitter. To mark the opening, Apple recruited a local “paper cutting” artist named Yang Shiyi to create a large mural showing a Banyan tree, a traditional meeting place. Stickers of Yang Shih-Yi’s design were also made available for download on the App Store for iMessage. 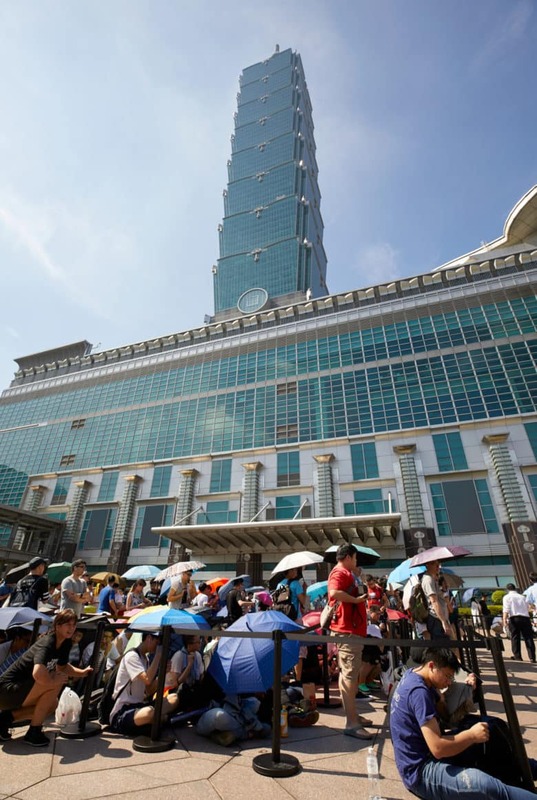 Did you get to attend the opening of the Taipei 101 Apple store? Leave your comments below. Apple welcomes customers to its first store in Taiwan. Customers line up Friday night at Taipei 101 for the store opening. 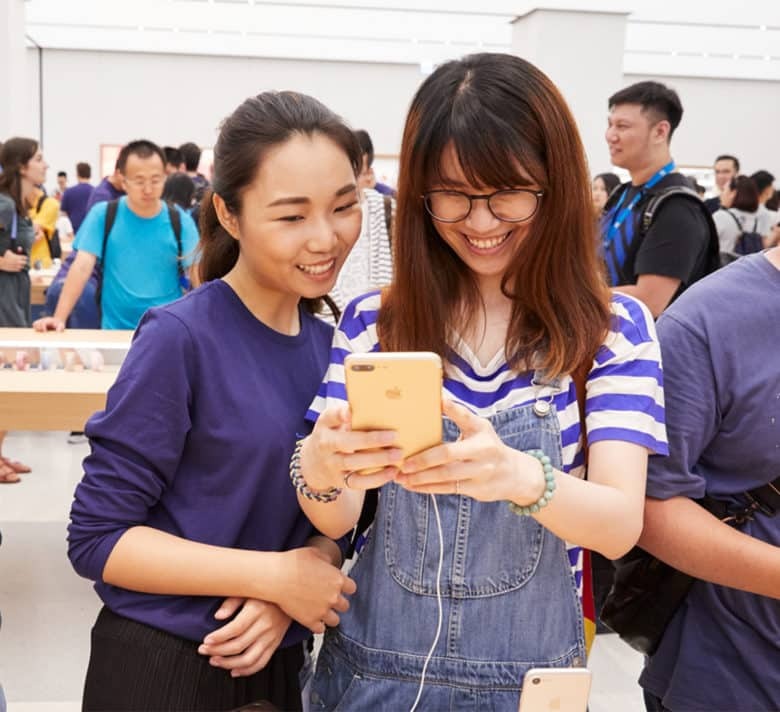 Customers from around Taiwan explore Apple’s latest products at Apple Taipei 101. 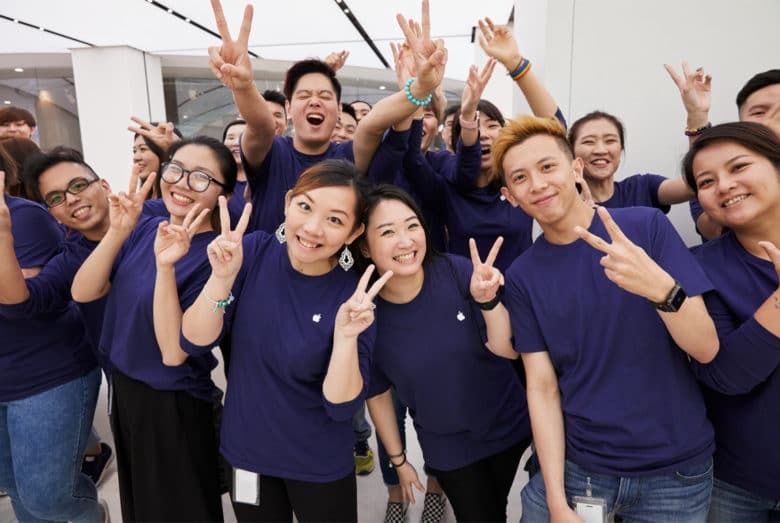 The store’s 130 employees celebrate the opening of Apple Taipei 101. Today at Apple sessions are offered on topics from photography and video to art, design, music and coding.